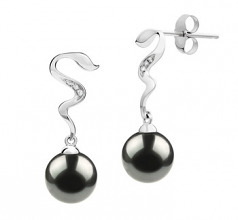 The beauty and elegance of the Black Japanese Akoya Pearl shows through in this 14K White Gold Earring set. 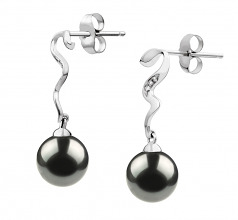 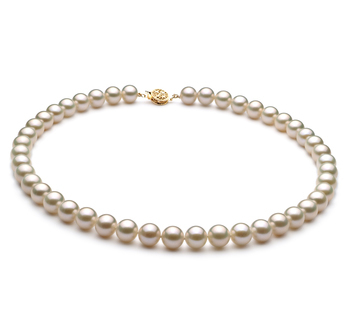 The dazzling diamond accented white gold is pulled to safety with by the Mysterious and lustrous 7-8mm black pearls. 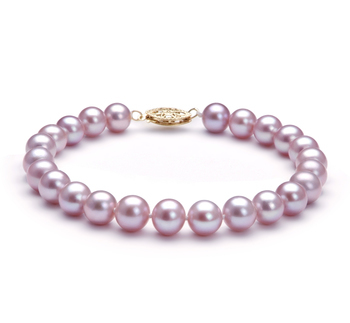 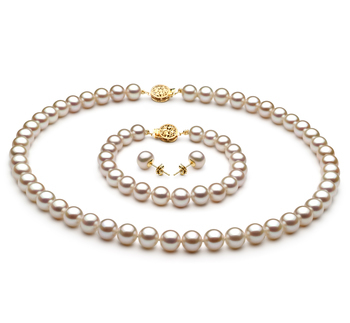 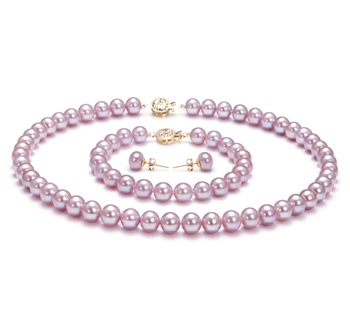 The smooth and colorful patterns of dazzling lights combining with the amazing glows show the quality of the diamonds, white gold and most of all the Japanese Akoya Pearl. 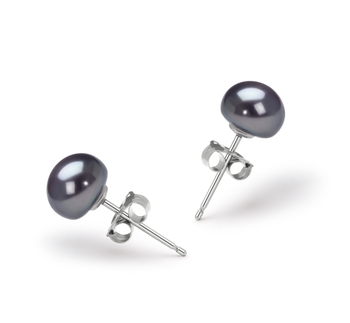 The near perfect shape gives way to the smooth and silky surface that takes on so much power and color as it dangles an inch below your ear. 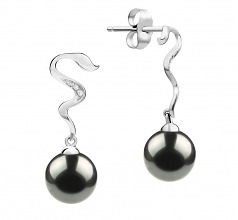 Show only for "Tamara Earring Set"